**Cancel*** Subject located safe Missing Child: Talia Tuttle ,15, Female/White, 5'4,110 Pounds. **Cancel*** Cancel*** subject has been located safe in the City of Sun Prairie. Talia Tuttle ,15, Female/White, 5'4,110 Pounds, and shoulder length brown hair. Last seen wearing a white Columbia jacket with a plaid pattern, black pants, black boots with puffy decor, and a stocking hat. Tuttle possibly has a purple backpack. 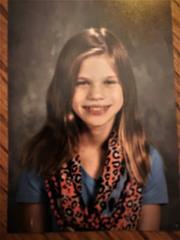 If you have information that can assist in helping safely locate Talia Tuttle, please call 911 or contact the Sun Prairie Police Department @ 608-837-7336.